GMC sales totaled 41,434 trucks and SUVs in June, a 3.6% year-over-year decrease from June 2016. Retail sales fell 9.5% with 35,016 vehicles delivered. 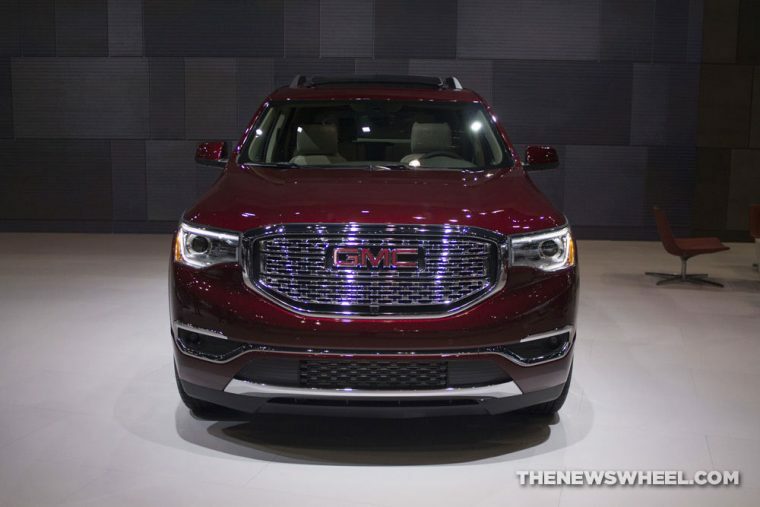 Save for the all-new Acadia and Savana, GMC’s lineup was down across the board in June. Sales of the Acadia increased 27.2% with 7,884 units delivered, carrying the next-gen crossover to 46.7% year-over-year first half growth with a total of 55,995 units delivered after six months. Sales of the Savana were up 133.3% at 3,726 units delivered, and first-half sales are up 45.9% at 16,740 units. Sales of the Sierra led the brand in terms of volume with 15,743 units sold, down 8.3% year-over-year; sales of the Terrain fell 32.2% with 5,464 units delivered; sales of the Yukon were down 8% with 3,656 units delivered; the Yukon XL was down 5.7% at 2,445 units delivered; and the Canyon fell 26% with 2,516 trucks sold. While June was generally a down month for GMC, it was marked positively by a $1,067 year-over-year increase in average transaction prices at $44,539 per unit. June also marked the best month ever for the Denali brand, which accounted for nearly one-third of all retail sales. Through the first half of the year, GMC sales are up 3.4% at 263,175 vehicles delivered. Sales of the Yukon XL are up 3% through June at a total of 14,630 vehicles delivered. Sales of the Sierra total 99,153 units, sales of the Terrain total 42,242 vehicles, Yukon sales total 19,527 vehicles, and Canyon sales total 14,888 vehicles.